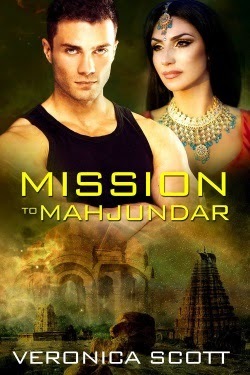 During my reading of Veronica Scott's MISSION TO MAHJUNDAR, it suddenly hit me how strongly the hero fits the "good guy" mold. Mike is a Sectors Special Forces officer and he's really dedicated to his job. He's a tough soldier, but has a heart of gold. He's also honorable and protective. 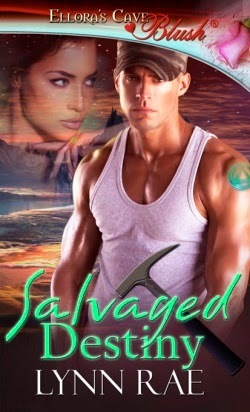 His mission is to save the heroine--and the day. Frankly, I don't think he knows how to do things any other way! 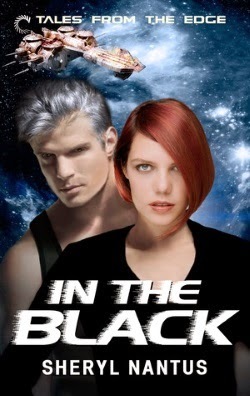 On top of that, I realized I'd been reading about a fair number of good guy heroes in science fiction romance. My reading pattern can be quite random, so I'm not sure self-selectiveness is the entire cause. I started to wonder if I'm seeing more good guy heroes in SFR lately or if the genre simply lends itself to them more so than, say, paranormal romance. In terms of my overall reading experience with good guy heroes, these books are just the tip of the iceberg. What makes heroes like the ones from the above stories stand out is that they're so nice and gentlemanly! They're considerate and even nurturing. But don't let that fool you--these heroes sometimes have to use extreme measures to help save the day/defeat the villain. One scene in MISSION TO MAHJUNDAR had me going o_O because of how far Mike went to defend the heroine. "Nice" or "good guy" definitely doesn't mean soft. One thing I like about good guy heroes is they don't represent a sexual threat to the heroine. They're a noticeably different breed from their "villain as hero" brethren. For one thing, they usually lack extreme angst and tortured pasts. A heroine might be in danger from external threats, but she never has to worry about the good guy hero taking advantage of her sexually. Good guy heroes aren't usually the source of danger, whether it's danger in the form of unrestrained passion or an untamed nature. I like not having to worry about being triggered, especially if I don't know much about a story's characters going in. No wonder my recent SFR reading has been so relaxing! That said, I still expect good guy heroes to possess flaws and come into conflict with the heroines. SFR stories offer all sorts of possibilities for interpersonal conflict--it doesn't always have to stem from a hero or heroine's extraordinary nature. For example, the couple might disagree about the best strategy during a space battle or who should take the lead heading into the villain's lair. I love how SFR explores the dynamic of a romance wherein the danger comes from outside the couple, so that's part of why I find good guy heroes appealing. Good guy heroes thrive under such conditions. Plus, extraordinary abilities/skills doesn't mean a hero is inherently dangerous along with an out-of-control libido. SFR has a speculative side, after all--its heroes can be extraordinary and well-adjusted! Good guy heroes often have a strong sense of realism about them. Many SFRs feature fantastical settings and technology, so a good guy hero can be an anchor in such stories. The focus is on an ordinary man falling in love in extraordinary circumstances. He's an emotionally steady rock in a raging hurricane. Another plus: heroines are often on an equal footing with good guy heroes. The text is often noticeably absent of big neon signs pointing to the hero as if to say "See how great this hero is? Don't you want to fall in love with him? He's so hot…hot, hot hot!" Even if an SFR hero is angst-filled because of a tragic past, if he's a good guy hero at heart, he--and the subtext--treats the heroine as an equal (one example of this: Jael from Ann Aguirre's HAVOC). I love that kind of characterization balance! So that's my two cents about the appeal of good guy heroes. Who are your favorite ones?